Here in California, seismologists and other researchers have been hard at work developing an earthquake warning system that would give residents a brief heads-up to prepare for an impending quake. It’s similar in nature to a warning system Japan has had in place since 2007. Systems like these require specialized equipment to detect earthquakes, but what if your smartphone could help improve these early warning systems? 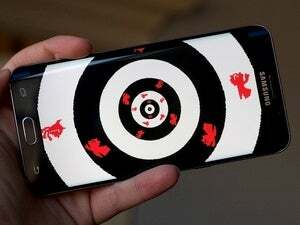 That’s the hope behind MyShake, a new Android app from researchers at the University of California, Berkeley. 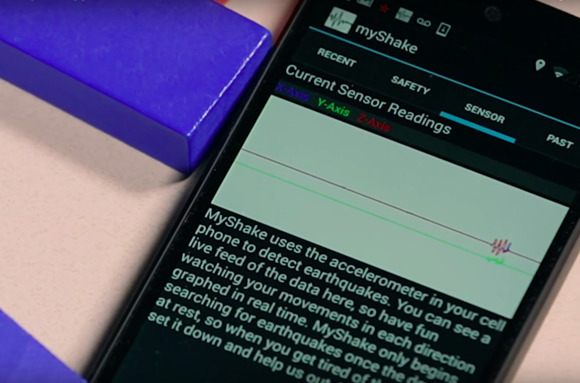 MyShake effectively turns your smartphone into a pocket-sized seismometer. It runs in the background and uses your phone’s built-in accelerometer to detect shaking, and if it detects motion that’s consistent with the “vibrational profile” of a quake, it’ll submit data about that quake to Berkeley seismologists for analysis. According to the MyShake website, the app sends this data anonymously, so you shouldn’t have to worry about your personal information being at risk. Eventually, researchers hope to use the app as part of a global earthquake detection network, an article on UC Berkeley’s website notes. MyShake is an Android-only app for now, but an iPhone version is in the works, according to the MyShake team. It looks like a clever idea and a novel use of existing technology—and I’m not just saying that because I’m a UC Berkeley grad. After all, anything that can people even a few seconds of warning before a quake starts can potentially save lives. The app is free, and it’s available now on Google Play.